all over New Zealand and world wide..
We are situated in Whangarei at 10 Rathbone Street, Whangarei, New Zealand, gateway to the winterless North, Kaitaia, Bay of Islands, Dargaville, Kaikohe. and beautiful gift ideas for over 18 years online and 16 years in store at Gifts on Rathbone. Use our Layby service and pay for your purchase over 4-16 weeks. You decide the time frame and payment amount. Left - right Ashlee, Anne, Ashley (seated), Michelle, Sandra and Meera. As a team we enjoy helping you choose the right gift, be it for brownie points or to create lasting memories. Service with sincerity is our motto. 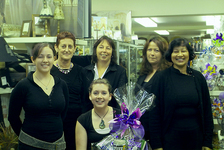 We have a team of 5 dedicated professionals with expertise and passion, committed to making your gift giving easy. We love to help you select gifts for that special person and exceed everyone's expectations. 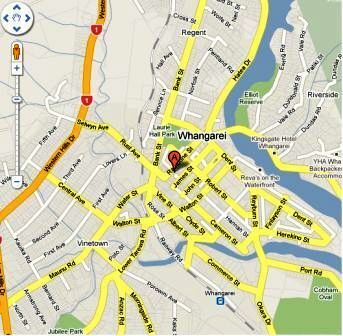 "Service with sincerity is our motto"
Call in and visit us at 10 Rathbone Street, Whangarei, New Zealand. Farmers (Laurie Hall) Car Park just 50m down the road. We are open Monday - Saturday for 11 months of the year and then everyday in December until Christmas day. With extended hours in December. New Zealand made products from our Whangarei Gift Shop. Servicing Whangarei, Northland Auckland, Hamilton, Palmerston North, New Plymouth, Wellington, Christchurch, Dunedin New Zealand and World Wide with great Gift Ideas, Gift Baskets and Gift Hampers are our specialty.